At the core of every successful business is an effective marketing approach. Here's some tips on how you can use keyword research to reach your target audience and MACs-iMize your marketing efforts. 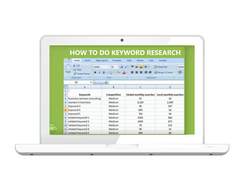 Here's some tips on how you can use keyword research to reach your target audience and MACs-iMize your marketing efforts. !